3 Beds 2 Baths 1,676 Sq. ft.
Charming Home on an oversized lot in Walnut Bend will not last long! 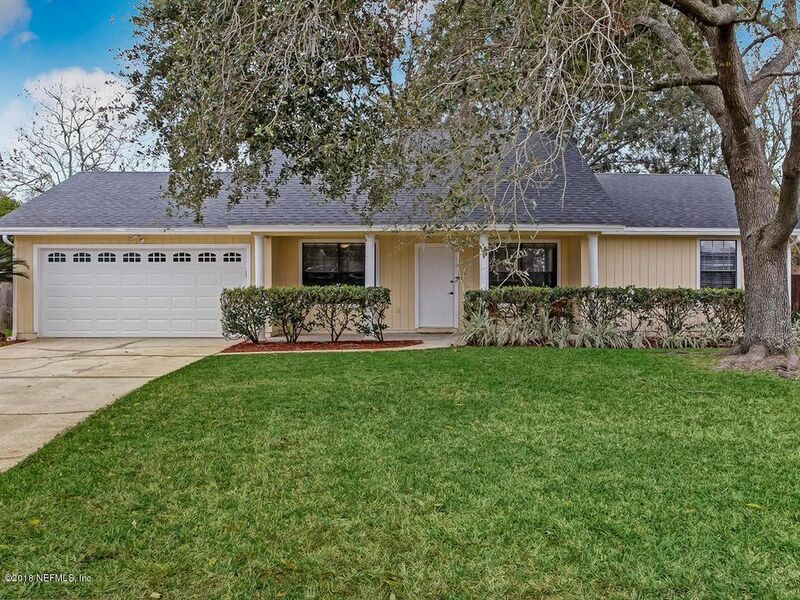 This 3 Bedroom/2 Bath 1,676 square foot home is well maintained and move-in ready. Front entry opens to a large Great Room with cathedral ceilings and a beautiful stone fireplace ideal for gathering with family and friends. The Formal Dining Room has decorative chair rail. The large Kitchen has tons of storage and offers a Breakfast Nook with built in seating with storage. The Owner's Suite is flooded with natural light and offers a trey ceiling, two walk-in closets and a Bath with a large shower and skylight. Both Secondary Bedrooms are spacious with large closets and share a lovely Guest Bath. This large fenced in yard with extended patio is a private oasis perfect for relaxing and enjoying Florida living.